One of the things I have wanted to do this year was re-start my sheet-a-day project. Unfortunately, that hasn’t happened. I don’t know why. There are a lot of things that I wanted to start in the new year that haven’t happened. Maybe it’s the struggle with depression. Maybe it’s because my job has gotten a bit more busy lately. Maybe both? I wonder sometimes if there are too many things that I “need to do” as far as creativity goes. I want to write more. 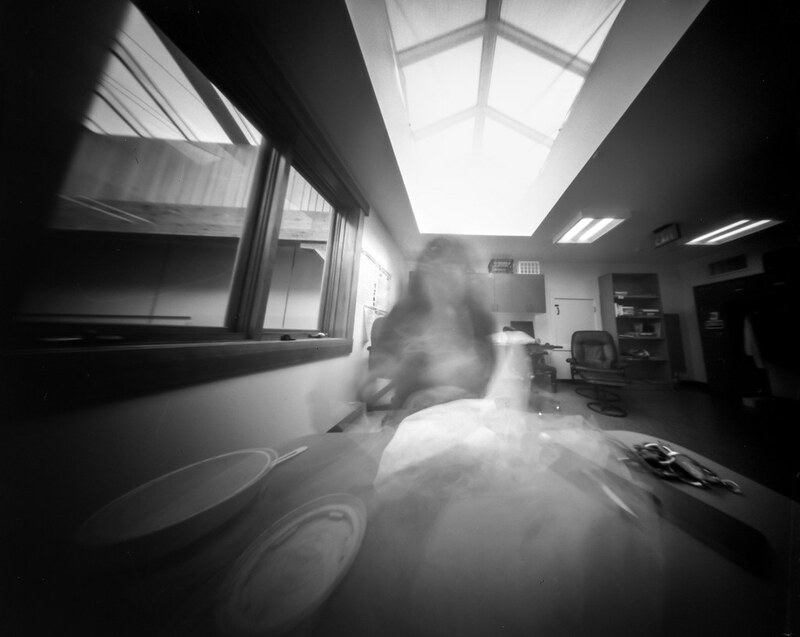 I want to shoot more pinhole. I want to draw everyday. I want to read more everyday. I need to meditate everyday. I need to exercise everyday. I need to knit everyday. Somehow if I do these things I will be happier. I know that that I need creativity in my life. I know that I am happier when I am doing something creative everyday. But c’mon. This list of things to do is overwhelming. How to fit it all in? Maybe this is my big lesson for the new year. Maybe just doing what is in front of me is enough. Like eating lunch. Maybe just eating lunch is enough to make me happy. Anyhoo. Here is a self portrait I took when I was doing the sheet-a-day project. Metered with Lumu light meter.